Equipped with fine volume control and positional accuracy which allows it to dispense discrete dots. D-Sniper can dispense into tight locations or close to a component in very thin lines without going out of bounds. 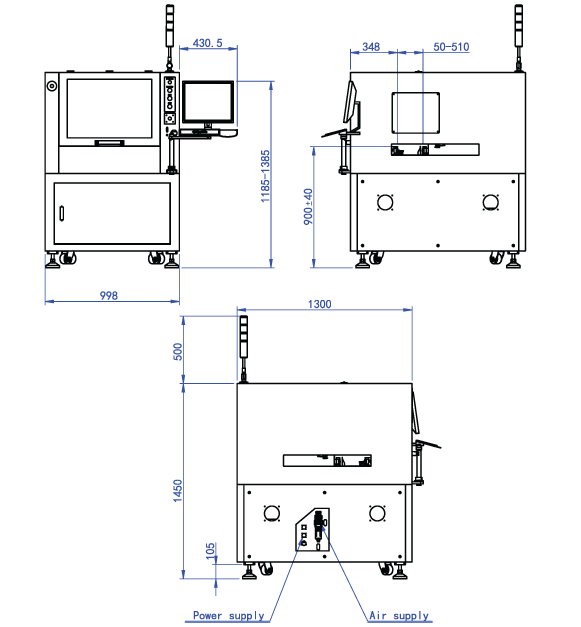 Through non-contact dispensing, problems that are brought about by conventional dispensers are completely eliminated! Stackable dotting process can create high profile dotting to ensure components will be glued strongly to the PCB. No tailing effect unlike other conventional smt dispenser. 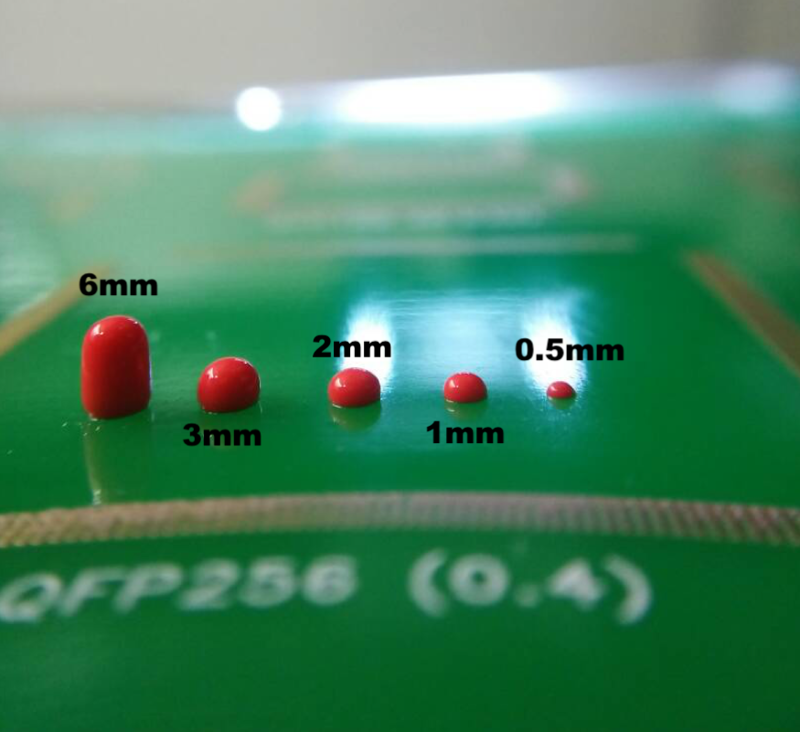 By jetting lines of glue between a series of PTH leads with narrow lead pitch such as connectors and sockets, solder bridging can be eliminated during wave soldering process. Corner bonding application can be done using our D-Sniper smt dispenser in a single SMT reflow process without any additional investment. SMA is dispensed on the PCB at the corners of BGA prior to placing the BGA. This application is not achievable by traditional contact dispensing as it is unable to create shapes and patterns thats adapted in Corner bonding. 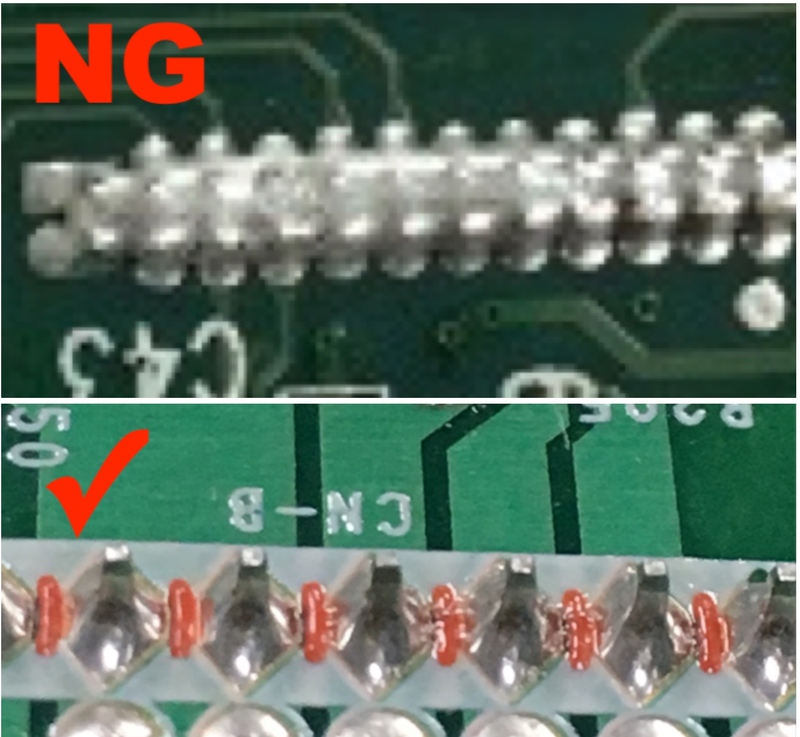 Through this application, there will be additional shock and bending resistance provided to the assembly when the PCB undergoes reflow. With an adequate amount dispensed (the smallest mark being 0.3mm), it ensures components remain robust & safely secured. The Precision Material Weight Calibration System (Option) would ensure a consistent underfill material volume being applied to every component. 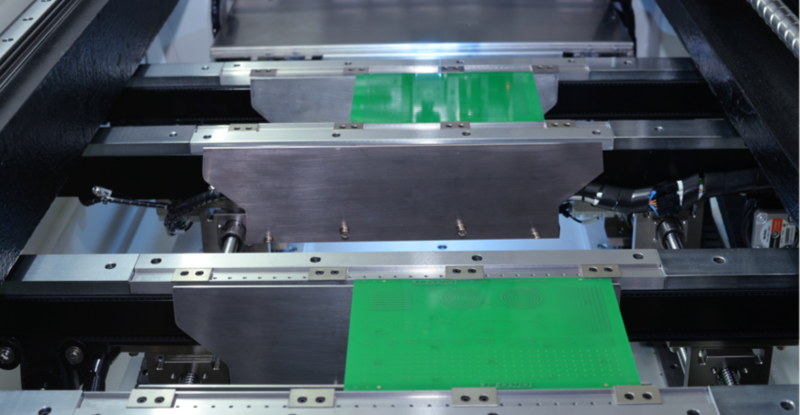 With dual lane, it will reduce the process time significantly, enhancing the throughput performance. It greatly aids in automated & high-mix production environment. Dual Valve is capable of simultaneous dispensing with automatic pitch adjustment. Also, it can provide independent dispensing with different material. With dual valve, it will reduce the process time significantly, enhancing the throughput performance. It greatly aids in automated & high-mix production environment. With the self-integrated turning unit, it’s furnished with the ability of turning the nozzle to support angular position dispensing.